CarGurus has 4,844 nationwide Macan listings starting at $26,495. Slated to go on sale in March 2016, the sporty 2017 Porsche Macan gets a number of enhancements, including a sporty new GTS trim. 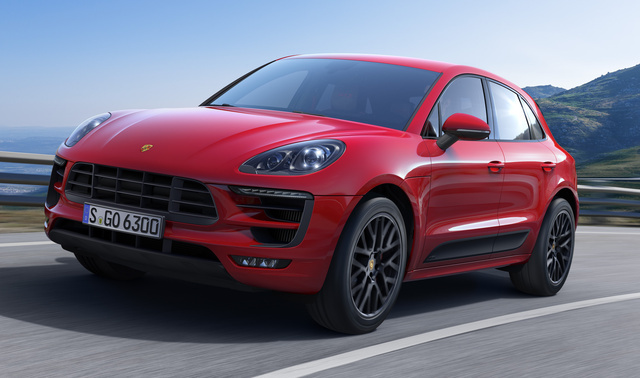 But this 5-door, 5 passenger Porsche crossover still lacks the cargo space of BMW’s X3, the fuel efficiency of Audi’s Q5, and, despite standard all-wheel drive (AWD), the off-road prowess of Land Rover’s Range Rover Evoque. Porsche is expected to slot the debuting performance-oriented Macan GTS between the entry-level S trim and top-shelf Turbo. The GTS boasts a number of upgrades over the entry-level S, including a tweaked turbocharged V6 powerplant, larger brakes, and a sport-tuned adaptive air suspension. Additional upgrades to the 2017 Macan include next-gen Porsche Communications Management infotainment featuring standard satellite radio and HD Radio, Connect Plus Bluetooth-interfaced hands-free communications technology, and improved communications and smartphone apps with enhanced Porsche Connect and Apple CarPlay. You'll also find LED headlights, an Alcantera multifunction steering wheel, a Brushed Aluminum interior package, and enhanced interior and exterior accent packages. There are also a trio of new exterior paint hues: Volcano Gray Metallic, Night Blue Metallic, and Carmine Red (GTS only). The 2017 Macan S trim is again powered by a 3.0-liter turbocharged V6, managed by the traditional 7-speed auto-manual transmission for 340 hp and 339 lb-ft of torque. Expect EPA mileage estimates to remain 17 mpg city/23 highway/19 combined, with a 0-60 mph time of 5.6 seconds. The brand-new 2017 Macan GTS will also use the 3.0-liter turbocharged V6, but tuned to produce 360 hp and 369 lb-ft of torque alongside the 7-speed auto-manual. Mileage numbers are unavailable as yet for the up-powered V6, but the German automaker anticipates a 0-60 time of 4.8 seconds. The 2017 Macan Turbo edition keeps its 3.6-liter turbocharged V6, with the 7-speed shiftable auto-manual, for 400 hp and 406 lb-ft of torque. Surprisingly, the 3.6L V6 gets the same mileage estimates as the S: 17/23/19. Expect the Macan Turbo to go from 0-60 in 4.4 seconds. Also featured on all 2017 Macan iterations is Porsche’s Active Management adjustable air suspension system, which will be enhanced with the selectable Porsche Stability Management (PSM) system on trims equipped with the optional Sport Chrono package. The Sport Chrono package also includes a driver-selectable Porsche Sport Mode that adjusts engine, transmission, and suspension performance to suite your driving mood, as well as a dashboard-mounted stopwatch and electronic logbook that lets you compare a variety of driving statistics. Porsche’s Torque Vectoring Plus (PTV Plus) performance feature will also come standard on all trims, electronically adjusting the locking rear differential to provide added stability while cornering. Standard appearance features for the 2017 Macan include alloy wheels, a rear spoiler, a power liftgate, and heated power-adjustable mirrors. Inside, look for leather upholstery, heated power-adjustable front seats, memory for driver settings, and full power accessories. Cruise control and telescoping tilt-wheel steering remain standard throughout the lineup, along with a remote garage door opener and dual-zone automatic climate control. The GTS will feature unique sport front seats, while the Turbo adds a heated steering wheel. Standard entertainment for the Macan S includes a 235-watt audio system with 11 speakers, satellite radio, and HD Radio. The GTS gets an 8-speaker audio system, and the 2017 Macan Turbo boasts a 750-watt, 14-speaker stereo and an upgraded online navigation display. Entertainment features in the GTS are supplemented by a standard Bluetooth-integrated Porsche Communications Management feature. The Macan lineup allows for nearly unlimited individualization options, now including newly enhanced leather upholstery and interior color selection. Other options include upgraded wheels and brakes, roof rails, front and rear parking sensors, a rear-view camera, a surround-view camera system, rear-seat DVD entertainment, keyless entry and ignition, and an auto-dimming rear-view mirror. Standard safety equipment aboard the 2017 Macan includes 4-wheel antilock brakes (ABS), traction and stability control, front side-mounted airbags with head protection chambers, front and rear head-curtain airbags, daytime running lights, front fog/driving lights, and turn-signal-integrated mirrors. The GTS and Turbo also feature brand-new adaptive LED high-intensity-discharge (HID) headlights, and adaptive cruise control and lane-keeping assistance will be optional across the lineup. It should be noted that the 2017 Macan S is also offered with diesel engines outside the U.S.
What's your take on the 2017 Porsche Macan? Habaco Aghast- still no surround sound/ no improved audio quality - 2017 Macan !! Unbelievable. I'm appalled Porsche installed 1979 audio tech at 70k starter price! Macan sound's not just mediocre - it's nonexistent. Pricey 2016 Burmeister upgrade similarly lacking in quality- fails every category- differentiation, timbre, depth. Save decibel. Very loud. No Macan audio option can deliver sound w organic appeal, sound that feels good. i.e. Sound that is musical. Dead, flat, cold, mechanical. Spend 5k - louder lousy sound. I'm Macan early adaptor. Been subjecting my ears, senses to Macan abuse over 1 year now. If you're a classical FM HD listeniner- do not buy Macan 2016! According to this article - still don't buy Macan. 2017 no better. Recently nearly driven to tears trying to "hear" broadcast classical guitar. Maddening. As referenced in former blogs- Macan sound stirs memories 1959 turquoise 4" transistor AM radio. .
Preciousmetal17 I have over 2000 miles on my 2017 Macan S. I test drove the Audi, BMW X 3 ( I own and love my 330i ) and comparable Mercedes. I actually was ready to order a 52 K Mercedes......but the dealer didn't feel like finding a sport seat model for me to test drive......so I drove 125 miles to a Porsche dealer to test drive the Macan.....just to " make sure ". I knew it was significantly more expensive, so it was going to have to be significantly more satisfying to drive. It was.......ordered one immediately after the test drive......added 20 K in options, and have never regretted a moment of owning it. Lawman2011 Tested a base with my wife driving, salesman in passenger, and me behind wife's driver seat. She is 5'6"". I had superb space for mr legs. I'm 6'0". Cargo with all seats up is adequate for purpose. It would be her car. Same space as her VW GTI. If she/we want to haul we take my car an MB GL 450. Interior was very very nice. She doesn't drive hard so the base would probably be adequate for her. I would want to test the S though. 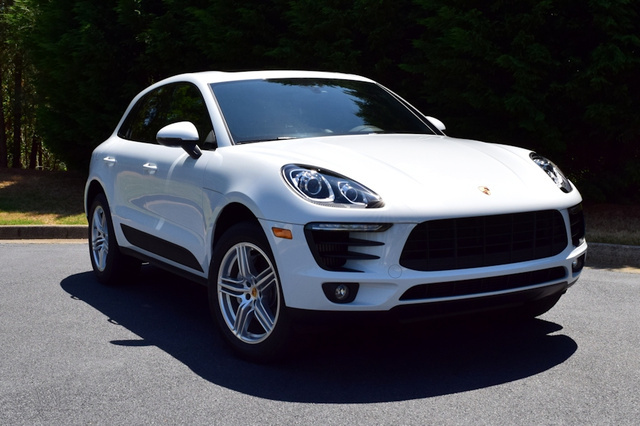 Have you driven a 2017 Porsche Macan? Are Porsche Macan 2016 / 2017 Reliable Vehicles?